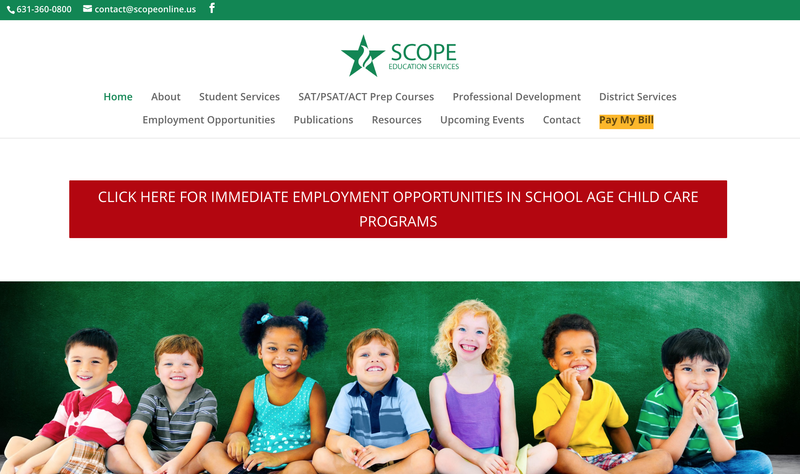 SCOPE Education Services is a leading provider of after-school programming and a variety of other services in New York. They wanted their new website to take advantage of modern design standards and aesthetics. They also wanted it to be mobile responsive and to contain only the essential content about their company. Finally, they wanted it to accurately represent the many innovative programs they offer. 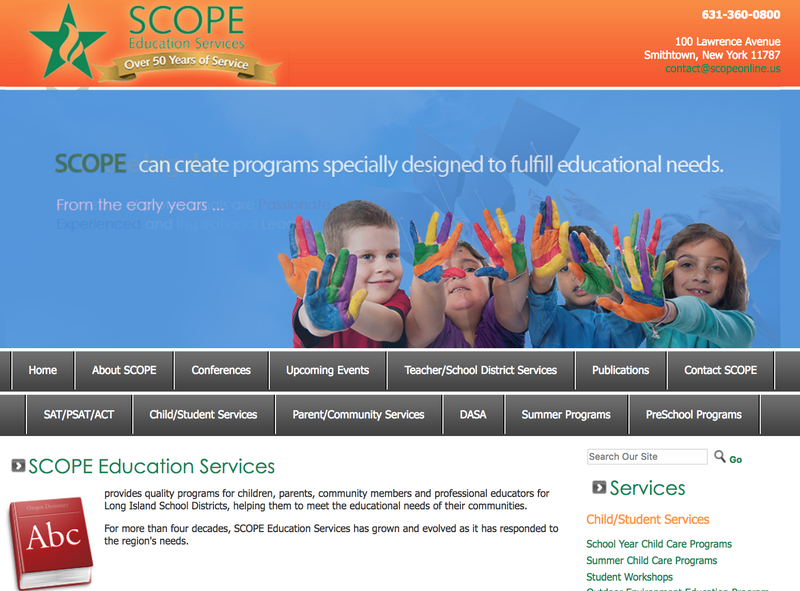 SCOPE Education Services is a local leader in educational programming. We’ve helped them by building a website they can be equally proud of.